Business proposals are documents outlining the terms of a sale for potential buyers. They’re typically used by B2B businesses that require detailed explanations of their products and services, pricing, and scope of work. Proposals can be custom but typically follow a standard format, which is why using a repeatable template is important for continued success. In addition to using a proposal template, you’ll need client-relation management (CRM) software to keep track of all your prospective leads throughout the sales pipeline. With Insightly, you can create an “Opportunity” for each potential deal and use it to store contact information, meeting notes, emails, and other relevant information. You can quickly see where your lead is in the pipeline and update the stage as it moves along. Using Insightly will help you manage proposals and their progress on a large and efficient scale — and it’s free to try. Example of a business proposal pipeline using Insightly. 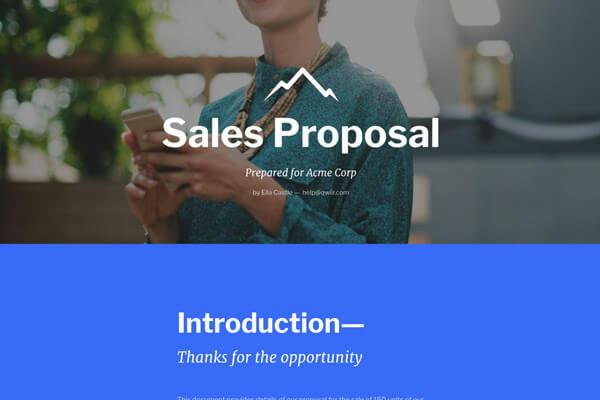 To help you speed up your sales process even further, we have created a business proposal template in PowerPoint and Google Slides you can download for free. 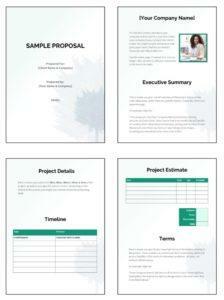 Simply download the templates and customize them for your business proposal needs. You can then adjust the branding to reflect your company image. Using a high-quality business proposal template is a good way to speed up the process, but there are a few important steps to help ensure that your proposal, once delivered, is seriously considered. We’ll walk through the entire proposal process, including must-have proposal features and tips for following up with your potential clients. To maximize your chances of closing the deal, we strongly recommend conducting a follow-up meeting or call with your prospective customer shortly after your initial sales pitch and discovery call. The purpose of this meeting is to ensure that you have properly addressed your customer’s objections. If you have not addressed any objections, your proposal may be rejected or not taken seriously. 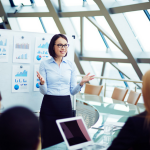 Once customer objections are addressed, you can go on to discuss costs and terms. Ideally, being able to gauge your customer’s reaction to costs and terms before you formally communicate with them in your proposal will allow you to discuss and resolve concerns before sending your proposal. With this step covered, you are now ready to write your proposal. If you choose to use our template or work off one of your own creation, you’ll want to modify your proposal with basic details, like giving it a title and adding the name of your customer. In addition, you will want to add custom data, images, and charts so your proposal addresses the prospect’s needs, wants, and potential objections. Once your business proposal is complete, you should send it to your primary point of contact and primary decision-maker. However, it is usually a good idea to also copy known individuals who might influence the final decision. A CRM like Insightly helps you streamline that process by integrating with tools like GSuite. With this integration, you can connect Insightly directly to your Gmail so you can import your contacts and send mass personalized emails from your CRM. You’ll be able to track email clicks and opens and, if you create your business proposal with Google Docs, you can even attach it without having to leave Insightly. Click here to try for free. One advantage to using Google docs or slides for your proposal is being able to monitor your prospective customer’s engagement with your proposal. When you communicate with your potential customer, encourage them to write notes on the proposal. Google docs and Google sheets will allow you to give them access to make comments. These comments will allow you to address any objections and further adjust the proposal. After sending the proposal and tracking their email and proposal engagement activity, follow up with your potential customer to discuss any issues. If you’ve noticed that only one of them has opened your email, follow up with that one person, ideally within 24 hours, and request feedback. Then follow up with other team members as a gentle reminder to review your proposal and ask for sign-off. 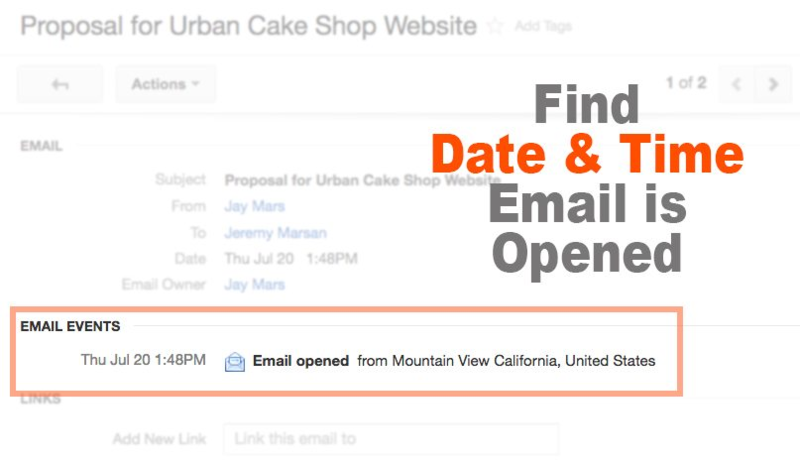 Insightly tracks email opens and clicks, so you know exactly who you need to follow up with. Once you’ve followed up with your prospective customer, addressed any objections, and have gotten them all on board with your business proposal, it’s time to close the deal. Either schedule another meeting or simply follow up via a call to secure an agreement and either a signed contract or purchase order so that the deal is closed. Once the deal is closed, send an invoice to the appropriate person in accounts payable. It’s also very important to remember that while this may be the end of your new customer sales process, it’s also the beginning of a new customer relationship. Using a CRM like Insightly can help you stay in touch with the customers you convert. This will put you in a great position to sell additional products and services and to get referrals from them in the future. Click here to try for free. While every business proposal is different, if you want make your own template, there are seven main components it should have, including a cover page, table of contents, product information, pricing, and terms and conditions. Having these sections of a business proposal template ensures you communicate the most important information about your product or service that your prospects need to make a decision. Below are details about what each section should entail. 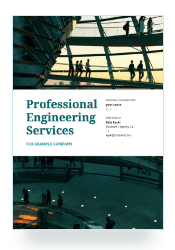 The cover page sets the tone of your proposal. This your opportunity to express your brand and the nature of your proposal. Some cover pages are graphic or image heavy. Others take a minimalist approach, with very few graphics and little more than the title and date of the proposal. The approach taken on the cover page should be reflected throughout the proposal. A table of contents makes the job of the reader much easier, especially when proposals are over 10 pages. It helps them quickly locate sections of the business proposal without having to search through all of the pages. Electronic business proposals that link tables of contents with their respective sections make this especially easy. Including a section that describes the prospective customer’s problem or opportunity reminds both you and the customer of the purpose of the proposal. It keeps you focused on what they need and it reminds them of what they told you their needs were. This section is a great precursor to your solution and how it solves your customer’s problem. Your proposed solution should solve your prospective customer’s problem. In this section, you demonstrate how your product offering is the answer they need to either make a problem in their business go away or become less painful. This section should articulate why they should buy your proposed solution. The costs section outlines how much money your proposed solution will cost. It gives your prospective customer an idea of how much money they will need to spend or invest to make their pain points go away or become more tolerable. The previous sections of your proposal, along with your selling activities up to this point, should have addressed their concerns and objections, making the costs justifiable. Many B2B sales come with terms and conditions. 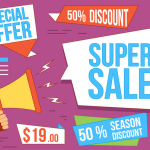 They add more detail around who does what and what products and services are included in the sale. Most often, they are outlined in a contract, but a good business proposal outlines them to ensure both you and your prospective customer are on the same page and understand what’s included and what is not. Good business proposals contain a section for next steps. This section tells your prospective customer what they need to do now that they have all the information they need to finalize their buying decision. This section serves as a call to action where their next step should be signing a contract and paying for your proposed solution. Besides using our free template, there are other ways to create your own business proposals and business proposal templates. The two ways we suggest include using a cloud-based business proposal creation software and hiring freelance designers to create business proposals and business proposal templates. 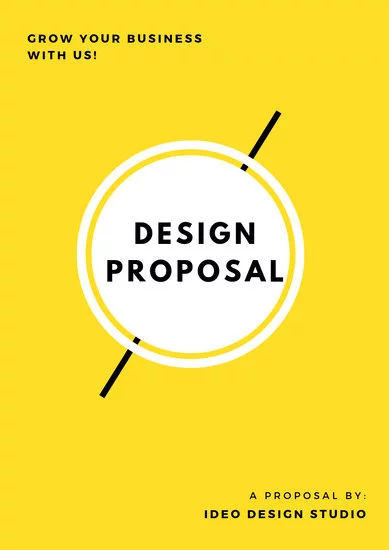 If you’re looking for a more professional business proposal solution, there are several easy-to-use alternatives on the market, including Better Proposals, Proposify, Qwilr, and Canva. The advantage of using proposal solutions like these is that they will save you time and potential headache. They also have features like tracking, e-signatures, and interactive pricing that can help you close your deals. Better Proposals‘ proposal software is affordably priced, starting at $13 per user per month for up to 10 proposals per month. They offer professionally-designed templates along with analytics, notifications, digital signatures, and custom domains. Proposify proposal software is cost effective starting at $19 per month for up to three users. They offer beautiful designs and an extensive business proposal template library. Features include interactive quoting, notifications, metrics, and online signatures. Qwilr’s marketing documents and proposal creation software is affordable for small businesses, with pricing starting at $29 per month for three users. They offer beautiful designs, a template library, ability to create unlimited proposals, and the ability to approve and accept payments. Canva is an online design tool that allows everyday people with no design skills to make their own business proposals and other marketing materials with drag-and-drop images and editable text boxes. If you decide to use Canva, we suggest selecting a design you like and using the business proposal components we’ve outlined to customize your template. Pricing for this service depends on the number and type of images selected. You can also hire freelance designers to create a business proposal template for you. There are several resources you can use to affordably create a business proposal. Below are a few you should look into. Fiverr – Fiverr is a freelance marketplace where you can find affordable freelance talent to create a variety of marketing materials, including freelancers who create business proposals. 99Designs – 99Designs is a design contest platform where designers can create templates for your contest. You’ll need to specify your proposal content and let designers compete to design a template that works for you. Indeed.com – If you have several types of proposals you want created or if you have other marketing materials you want produced, posting a temporary or freelance job on Indeed may be a good option for you. Freelancer.com – This is a great site for small business owners to find and hire freelancers to complete a variety of marketing projects, including business proposal templates. You can post a project to the site and freelancers will bid on them. 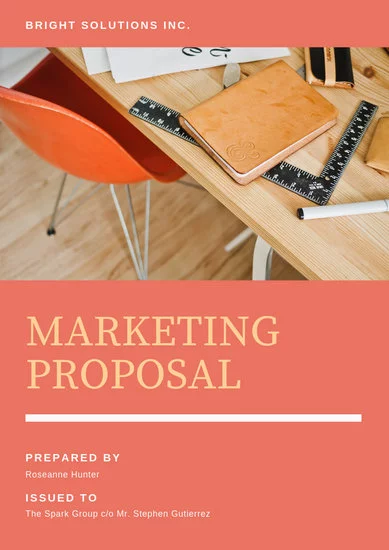 A business proposal template can be a great way to quickly generate proposals so you can better focus your time and efforts on the tasks needed to increase your conversion rates. 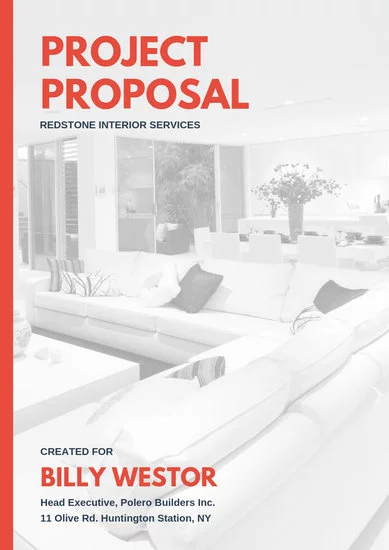 While we’ve provided a free proposal template, there are also several tools out there to help your proposals stand out from the crowd. However, a great business proposal can only take you so far. 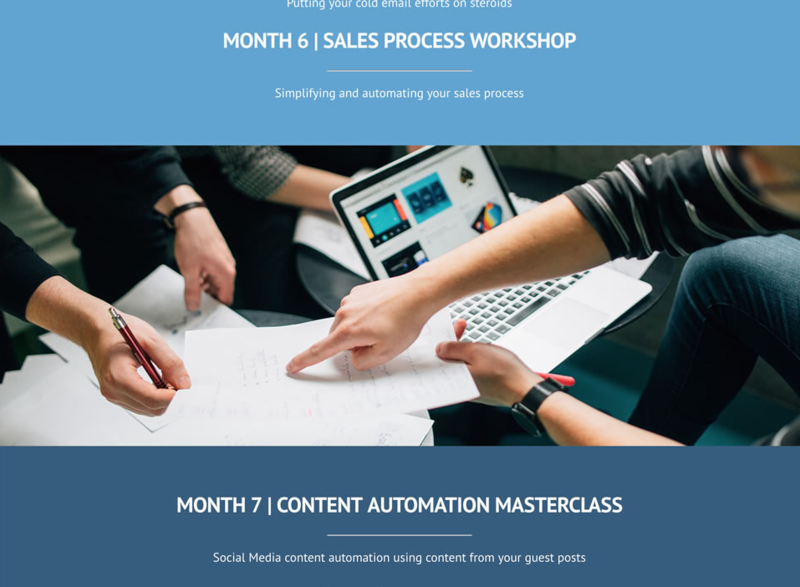 Before you even get to the business proposal stage, you need a full-featured CRM like Insightly that will help you efficiently build relationships with the right people and increase the number of deals you close. Try it free today. I real appriciate your views thanks so mich about your knowlages.Im the one who look to gain more in life about business because i am business minded. But now, I’ve a clear road map and understanding of how to approach this task, thanks to your super-helpful post. I’m very glad the article and template were helpful. If you haven’t already, be sure to check out our full guide on writing a business proposal, which has advice on what to include in each section. Very happy we could help. Thanks for dropping in! Simply download them and fill out each section with your own business and project information.